The Rotary Foundation Ambassadorial Scholarship program will end in 2013. Beginning in 2013-14, The Foundation will offer scholarship opportunities through district and global grants. This new grant structure gives Rotarians greater flexibility in sponsoring the next generation of leaders. T he 2010-11 class of Ambassadorial Scholars received US$9.6 million through individual grants of $25,000. Since 1947, a total of $532 million has been awarded to 41,000 men and women. The scholarships sponsor undergraduate and graduate students, as well as qualified professionals pursuing vocational studies. 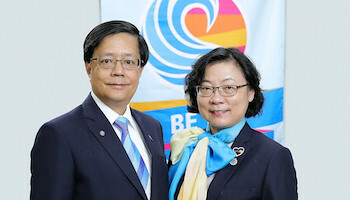 While abroad, scholars serve as goodwill ambassadors to the country where they study and give presentations about their own culture to Rotary clubs and other groups. Back home, scholars share with Rotarians and others the experiences that deepened their understanding of another culture. Through their generous contributions, Rotarians worldwide show a continued faith that today’s scholars will be tomorrow’s community and world leaders. 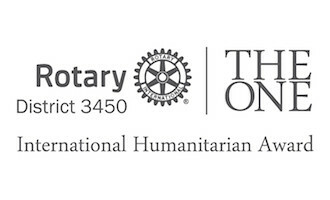 Contact your local Rotary club to learn more about Rotary’s scholarship opportunities. This entry was posted	on Friday, February 22nd, 2013 at 8:57 am	and is filed under General, Rotary Foundation. You can follow any responses to this entry through the RSS 2.0 feed.Both comments and pings are currently closed.